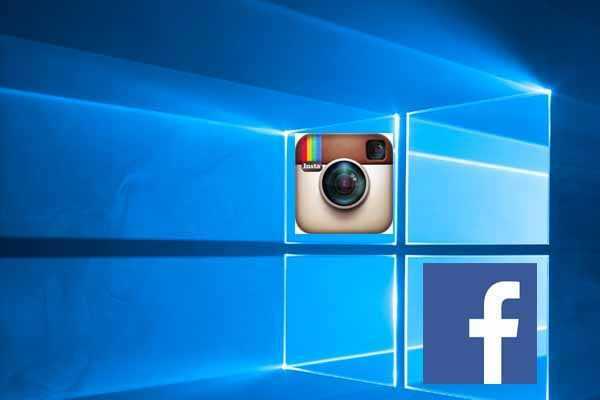 Way back in October 2015, when Microsoft organized its Surface event, the company declared that Facebook was in the process of developing universal Windows 10 apps for its core social media network, Messenger, and Instagram. Months later after this statement, Facebook announced in a recent blog postthe launch of all new Facebook, Messenger, and Instagram apps for Windows 10 based on their popularity and growing number of users. According to a recent statement made by the company’s CEO Mark Zuckerberg, people spent about an hour on an average everyday using all the three apps. During the Build 2016 conference, the company declared that the three apps will have all the features that you expect them to have. They also take advantage of the Live Tiles feature that is a specialty of this operating system.Interestingly, none of them support or work with Cortana, which has been popularly known as Microsoft’s very own digital assistant. The new Facebook app is a complete replacement of the present Windows 8 version, and ensures that your social media activity becomes even livelier. For example, you can see all the reactions received for your or others’ posts and also include stickers for more effect to the messages you send with the app. Apart from these two features, the app incorporates sharing across apps and notification pop ups. However, the best features are probably the tabbed setup that supports multiple tabs and the inbuilt browser. When you are done viewing a link you opened through Facebook, all you have to do is to press the Back button on the browser to get back to the app. All opened links will continue to be present as tabs at the bottom of the window in the form of tabs unless you individually close them. This helps you to swap between Facebook and the article you were reading quite seamlessly and smoothly. You can also share your Facebook photos through easy access to other photo apps like File Explorer. If you have a live tile for Facebook, then the tile will give you the updates on the latest feeds without actually having to open the app. The Messenger app for Windows 10 is also loaded with fun and some really cool features. GIFs and stickers, group conversations, and notifications in the action center are some vital attributes. Old features like direct messaging continue to exist. You can also search for content or switch from one Facebook account to another using the Messenger app. Modifications are going on to include video calls, payments and the ability to take video and photo calls using the app. So, if all goes well, you will soon be able to use the messenger to perform these functions too. Again, like the core Facebook app, the live tile displays unread messages on the Messenger tile. The beta version of Instagram has been around on the app store for quite some time now. This has now been replaced by the final live version. Video support and direct messaging are some well accepted features of the app. With the revised Search and Explore attribute, gaining access to a specific video or photo has become easier than before. The newly introduced account switching functionality helps you to swap among multiple Instagram accounts with ease. And of course, the live tile highlights photos and videos that you have not yet accessed on your news feed. The flip side is that users of Windows phones that do not support upgrade to Windows 10 will have to continue using the old beta app. At present, the Facebook and Messenger apps are available only for desktops and tablets, and Instagram for mobile devices supporting Windows 10. The app versions of the desktop apps have a cleaner interface than their web counterparts.However, the giant social networking website has promised that the Facebook and Messenger apps will soon be extended to smartphones too by the end of 2016 with a maximum of these features incorporated, if not all of them.It is yet to be known whether the two apps will launch simultaneously or one after the other. But, things are still speculative as far as the roll out of a desktop version of Instagram will take place. With this being unlikely, desktop users can continue accessing the web version of the app to access their Instagram feeds on their computers.